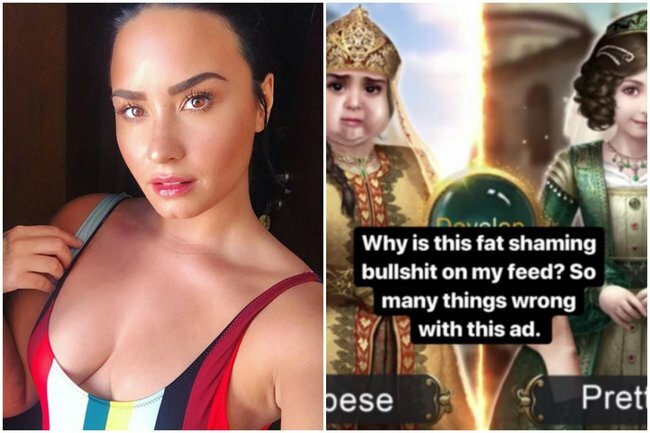 Demi Lovato has brilliantly called out an Instagram ad for body shaming. Demi Lovato is certainly not one to shy away from passionately speaking out about important issues. And her latest Instagram story is no exception. 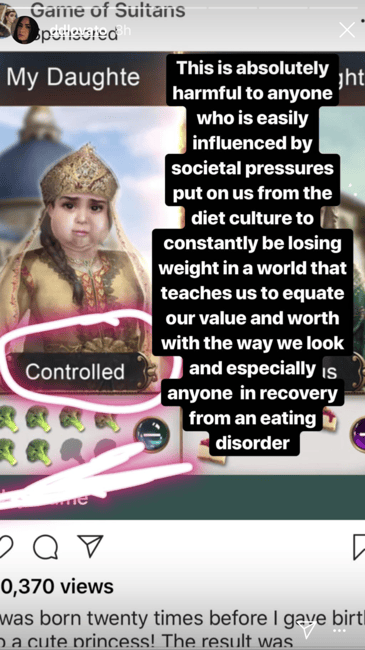 The singer shared a series of images on her story over the weekend, taking aim at a ridiculous body-shaming ad for the RPG app, Game of Sultans, which appeared on her feed. 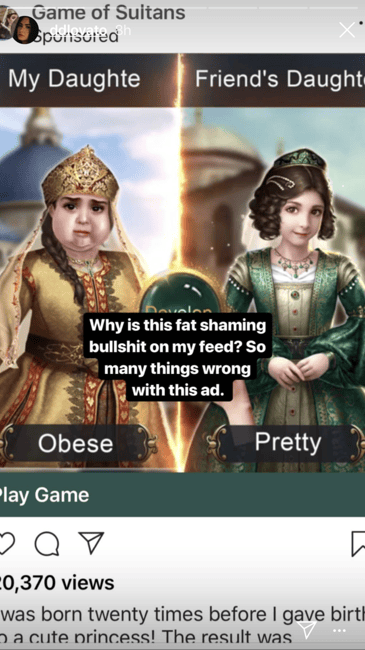 As depicted in Demi’s screenshots, the ad included a side-by-side picture of two animated characters; one was described as “obese,” while the other was labelled as “pretty.” Another photo showed the characters’ “diets”. 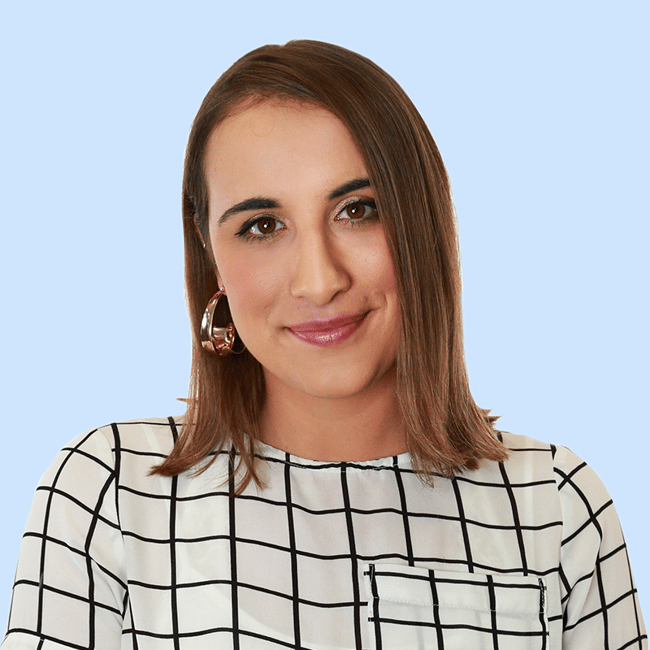 Demi, whose struggle with eating disorders and body image has been widely reported and candidly spoken about by the singer herself, went on to discuss the harm the ad could cause, referencing the "diet culture" perpetuated by Instagram. The ad was later removed, and in a statement obtained by The Hollywood Reporter, an Instagram spokesperson apologised. “We’re sorry. This ad was approved by mistake. We reviewed it again and removed it from future delivery in people’s feeds,” the statement read. Demi was hospitalised last year for a drug overdose, believed to be heroin, after which she made a statement about her mental health. “I have always been transparent about my journey with addiction,” she wrote on Instagram.